The MSU Libraries’ Artists’ Books Collection is housed in Special Collections and includes over 350 titles by a wide variety of artists including Laura Davidson, Julie Chen, and Emily Martin. The Cuban Artists’ Books Collection contains over 50 pieces, created by individuals at Ediciones Vigía, an artists’ cooperative that has produced limited-edition books since 1985. 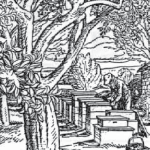 For over a half-century the MSU Libraries has been acquiring and building an important collection of materials devoted to early bee keeping. 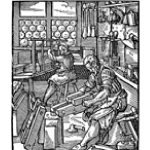 The Baker Collection is especially strong in apiculture works printed in English, although other languages are well represented. 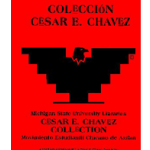 The Cesar E. Chavez Collection is an interdisciplinary browsing collection consisting of titles in a variety of formats, research levels and locations on Chicano and Boricua Studies. Charles and Ruth Schmitter Fencing Collection, the gift of Charles Schmitter, MSU's retired fencing coach and professor emeritus of health and physical education, and Ruth, his wife. Now numbering almost 600 titles in thirteen languages spanning four centuries, this unique research collection rivals any in the country in size, quality, and breadth. 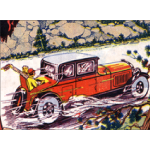 A systematic review of the maps contained in Clason State Road Maps, touring atlases, and Green Guides reveal that the road legends and other map symbols varied over the years in systematic ways. 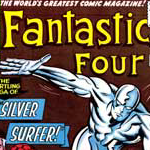 The Comic Art Collection holds over 200,000 items. Most of these items are American comic books, but also included are over 1,000 books of collected newspaper comic strips, nearly 15,000 foreign comic books, and several thousand books and periodicals about comics. 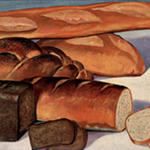 The Michigan State University Library and the MSU Museum have partnered to create an online collection of some of the most influential and important American cookbooks from the late 18th to early 20th century. 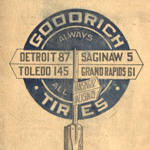 This exhibit traces how roads have been depicted on Michigan Road Maps from the time it was a territory to the present. In addition to maps, it includes photographs, unique short-lived route guides and artifacts. 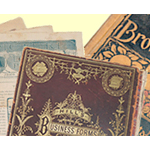 MSU Libraries’ Special Collections contains any number of small niche collections developed over the years. One of these is early modern books on conduct of life. Their purpose is to provide helpful advice on conduct, behavior, morals, values, spirituality, education, letter writing, relationships with others, and a myriad of miscellaneous practical or odd topics. 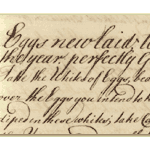 Miscellaneous practical matters may encompass a wide range of topics such as recipes, household management hints, medical care, supervision of servants, dance directions, love songs, or marriage arrangements. Topics that seem odd inclusions to us in books on behavior are how to interpret dreams or the meaning of the locations of moles on the body. One of the City of Bath’s main attractions has been its famous spa water, which comes from hot springs in the area, the U.K.’s warmest geothermal springs. There is archaeological evidence of human activity in the Bath region in prehistoric times. From the 17th century, people claimed the water had curative properties and Bath became a popular spa town, a place to live and vacation, to see and to be seen. This exhibit offers examples of bindings from throughout the ages, beginning with some of the oldest books in the collection, from the 15th century. The horse is one of the most important domestic animals in human history, and their health and care is a foundation of veterinary medicine. Equine anatomy has long been a closely studied subject by veterinary practitioners, farmers, farriers, and even artists. 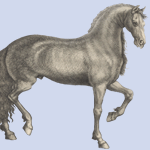 This exhibit highlights some of the interesting and important items on equine anatomy that are available from the Michigan State University Libraries Special Collections. MSU's Janet A. Ginsburg Chicago Tribune Collection composed of beautiful visual journalism art, in many forms, that was used to communicate news of the day. 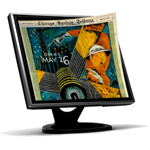 This collection offers access to a rich set of cartoons, photographs, illustrations, advertisements, etc. 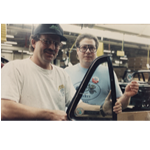 The Lansing Auto Town Gallery delivers the immediacy of the recorded voice and presents associated field notes and photographs of the men and women who worked within the automobile assembly industry. 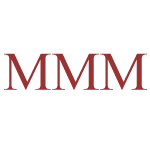 The Sliker collection contains thousands of food and cookery related publications produced primarily by companies in the United States from the late nineteenth century up to the present. The Making of Modern Michigan is a collaborative project involving 52 Michigan libraries. It includes local history materials from communities around the state. 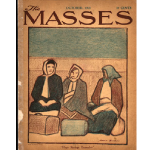 Originally established as an earnest but ultimately dull socialist magazine, The Masses was taken over in 1912 by artists whose commitment to a new artistic age was only equalled by their support of socialist political causes. 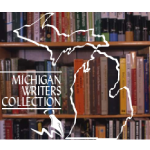 The Michigan Writers Collection, located in the Special Collections Division, is devoted to collecting and making accessible all the manuscripts and published works of selected writers with important ties to Michigan. 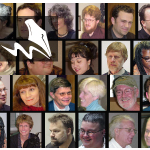 The Michigan Writers Series recognizes and highlights the literary work of important writers who live and work in Michigan. Primary sources are materials which provide first-hand evidence of an event, a person's life, or a historical period. The Ford Papers consist of over 100 boxes of material, dating from the 1960s to the present day, and more is continually added as it is generously donated by Ford. The collection includes manuscripts and draft copies of Ford's works, correspondence to individuals and institutions, research notes, articles and essays, screenplays, novels, non-fiction works, and short stories written by Ford. 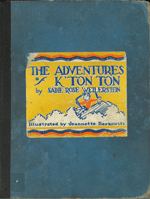 There is also material about Ford, works by other writers, and a small number of Ford's personal possessions. The goal of the exhibit is to educate the public about the fragility of our nation's cultural heritage and how libraries and library conservators are saving the books from our past. The exhibit illustrates some of the conservation treatments performed on the Teaching Young American's collection and how the library administered them. 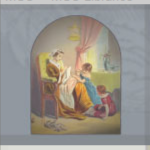 This is a searchable collection focusing on the period between 1820-1880 of long-forgotten books and tracts for young people. One can read the texts and see images of the actual volumes-bindings, pages, flyleaves, frontispieces, marginal scribbling, and inscriptions. 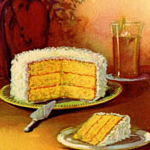 This exhibit features American Jewish cookbooks and schoolbooks from the Michigan State University Libraries' Special Collections. American Jews, in their children's books and cookbooks, demonstrated the importance of religion and gender in their families, and asserted themselves as both American and international/multilingual. The Tone Perfect collection includes the full catalog of monosyllabic sounds in Mandarin Chinese (410 in total) in all four tones (410 x 4 = 1,640). Spoken by six native Mandarin speakers (three female and three male), the collection is comprised of 9,860 audio files (6 sets of 1,640). All audio files can be downloaded directly from the website. The Veterinary Medicine Historical Collection at MSU is one of the largest and finest collections of its kind in the nation and possibly the world. 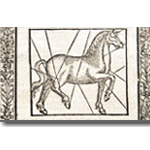 The collection features some 1,400 manuscripts and books covering the arts and practices of the veterinary profession from as early as the fifteenth century. 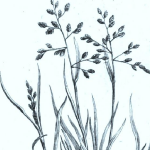 Since humans began sketching on cave walls, people have drawn plants. 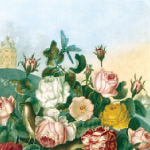 Vibrant Treasures: Botanical Illustrations from the 16th to 20th Centuries is an exhibit of all of these types of botanical illustrations. 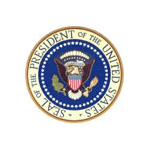 The Voices of American Presidents have been captured by audio pioneers since the early days of sound recording. The MSU Vincent Voice Library is working to preserve over 100 years of historical spoken word recordings like those of the U.S. Presidents, and is pleased to share these sound samples from its collection. Anthropologist William G. Lockwood began collecting material about the Roma in the late 1950s, gathering scholarly works and documents, Roma music and poetry, and representations of Gypsies in the arts and popular culture. The collection includes several thousand books and periodicals, twenty boxes of vinyl albums, and several hundred examples of sheet music. The William G. Lockwood Collection of Romani Ethnology and Gypsy Stereotypes is as geographically diverse as the Roma themselves, with publications from Europe, Asia, Africa, and the Americas. 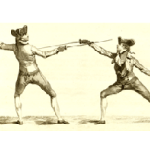 In the Enlightenment, learning about science became part of general, polite culture. Many authors wrote books for young children, women, or girls to introduce them to the new scientific discoveries about plants.